Back in 2014, Africa suffered one of their worst ebola outbreaks ever. Now, in the Democratic Republic of Congo, it’s happening again. Ebola, also known as hemorrhagic fever, is a virus characterized by a fever, headache, muscle pains, chills, and internal bleeding which leads to vomiting or coughing blood. Named after the river it was first found near, ebola is typically carried by bushmeat and spreads by improper medical and funeral practices. The Democratic Republic of Congo, already gripped in heavy conflict, had their first recent ebola outbreak back in June of 2018. 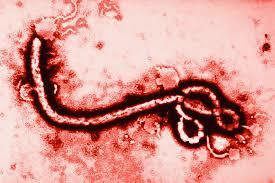 Now, in the North Kivu region, an outbreak of ebola is currently spreading through the city of Oicha. This region is already besieged by heavy conflict, which makes getting medical aid much harder for victims of the outbreak. Conflicting groups such as the M23, led by Rwanda-violence inflictors the Tutsis, and the Hutu militia group Democratic Forces for the Liberation of Rwanda are both being accused of widespread war crimes across the Democratic Republic of Congo, including massacres of ethnic groups and forced recruitment of children. The fear caused by these groups has made it a challenge for infected individuals to seek health care. The international Rescue Committee reported the ebola outbreak as possibly being the worst ever for the country, and currently supports 37 health facilities in an attempt to handle infection control. The facilities introduce isolation for suspected cases and focuses on handling the dead properly. Some of the areas with these facilities, however, do not listen to the health care workers and continue using traditional burial practices. In Oicha, healthcare workers have no way of reaching infected individuals through the conflict, making confirmed cases particularly troublesome for those facilities trying to combat the spread of the disease. Already, the Democratic Republic of Congo has seen 75 deaths and 112 confirmed cases of ebola. The 2014-16 outbreak saw only 49 deaths and 69 total cases in the country, making this outbreak larger than the 2014-16 outbreak for the Democratic Republic of Congo. The outbreak was confirmed August 1st, only a week after the Ministry of Health declared the end of Équateur Province’s outbreak, only 2500 kilometers away from North Kivu. By August 4th, the World Health Organization (WHO) confirmed three healthcare workers among the ill, two of which have died. In response to the outbreak, healthcare officials are testing Merk’s rVSV-ZEBOV vaccine. Just one of the vaccines created in response to the 2014-16 outbreak, rVSV-ZEBOV uses a version of vesicular stomatitis virus to carry a gene insert for the ebola virus. While tested in phases 1-3 on safety and effectivity of use, rVSV-ZEBOV has never before been used during a current major outbreak. The current ebola outbreak in the Democratic Republic of Congo is already worse for the country than the 2014-16 outbreak, and it is only starting. Hope lies on the shoulders of healthcare workers, who cannot easily reach the infected, and the new rVSV-ZEBOV vaccine. Still, there is much promise of ending this outbreak despite the heavy conflict prohibiting the area from easy access.